Next Saturday, May 19, 2018, I'll be appearing at the annual Gaithersburg Book Festival in Gaithersburg, MD (not far from Washington, DC and Baltimore, MD). This is a wonderful all-day festival featuring dozens of bestselling authors, signing and talking about their books - and admission is FREE. All kinds of books will be represented - fiction, non-fiction, YA, children's books, romance, thrillers, mysteries - plus there will be writing workshops for all ages, literary merchants, and food vendors. Here's the list of featured authors. Here are directions to the Festival. 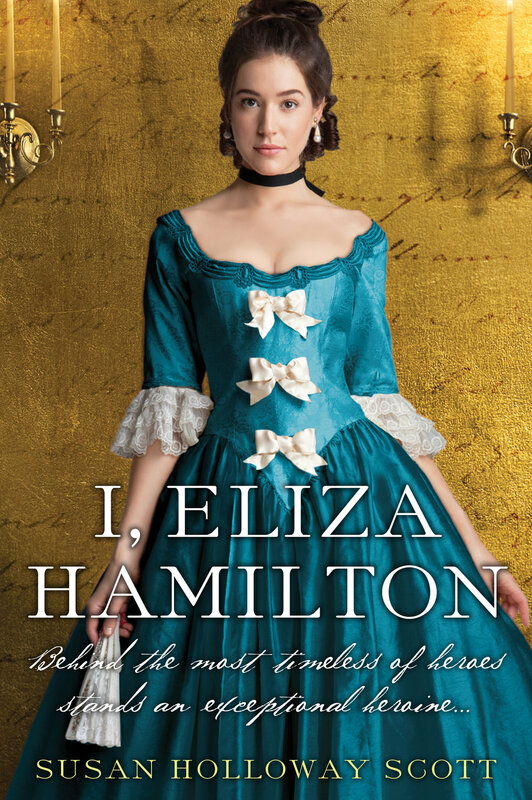 If you can't make it to the Festival, you can still order I, Eliza Hamilton, available everywhere, and not only as a trade paperback, but also as an ebook, audio book, cds, and large-type edition. From 2009 until 2018, Susan also blogged over at the Two Nerdy History Girls blog. Browse over 2,000 posts for a deeper dive into historical fashion, people, places, and lots more!